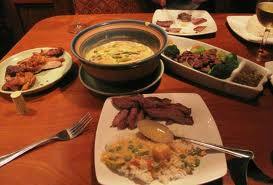 Located just minutes away from Orlando’s most famous theme parks, Thai Thani is the best Thai food restaurant in town. Thai Thani is open for lunch and dinner daily and specializes in authentic dishes from across Thailand within a beautiful setting that is full of tastefully arranged native artwork and decor. Offering appetizers, soups, seafood and specialty dishes, Thai Thani serves up all the Thai classics at its Orlando location. Thai cuisine is known for its contrasting flavors and famous for its spice and Thai Thani does not disappoint in either category. For starters, you have a choice between popular favorites like chicken and beef satay with a peanut dipping sauce, Thai-style spring rolls and a whole lot more. Spicy tom yum goong soup is another popular option that features the spice of chilis contrasted against the sour taste of lemongrass. For a soup with a milder flavor, Tom Ka Gai is an excellent option. Thai Thani also specializes in spicy green and red curries from across Thailand and are paired well with a side of steamed rice. There is also a wide range of seafood, duck, chicken and beef options available in addition to noodle dishes such as pad thai as well as fried rice. Some of the restaurant’s house specialties include fried calamari, Bangkok chicken (breaded chicken strips in sweet and sour tamarind sauce) and pineapple yellow curried fried rice. If you’ve saved room for dessert, Thai Thani offers a nice selection of ice creams as well as authentic desserts like sticky rice with mangos.